Variable speed motor ramps up as needed, maximizing energy efficiency. 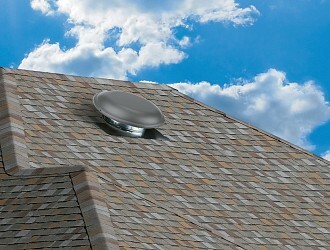 The 1500 CFM High Efficiency Power Fan utilizes an electronically commutated motor (ECM). This “smart motor” is equipped with an on-board computer that has temperature and humidity sensors built in. 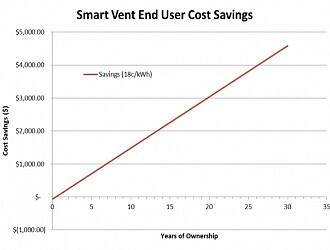 The fan starts on low and only runs at full speed when needed which saves the homeowner up to 74% in energy savings. 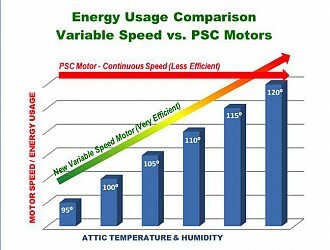 Power savings - variable speed motor runs at reduced speed under moderate attic temperature/humidity conditions. Motor ramps up in speed only as needed maximizing energy efficiency. Soft start motor - starts up slowly and only ramps up as needed. This provides a quiet start up and reduces wear and tear on the motor. 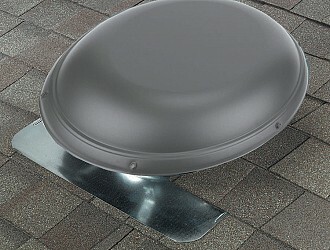 Prolonged life - slow start, turns off when too hot or when raining, and only runs on high when needed.